We stock new, used and reconditioned parts for the best of the Exotic Italian car manufacturers, including Ferrari, Maserati and Lamborghini, with models ranging back to the 90's, 80's, 70's, 60's and 50's. 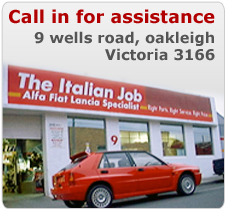 Check below for a list of exotic italian car manufacturers that we stock items for. Some Ferrari Boxer and Ferrari Dino parts available. Please call to enquire.